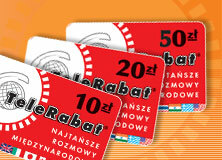 TeleRabat :: Cheap international calls. © 2002-2015 VoxNet Sp. z o.o. sp. k.